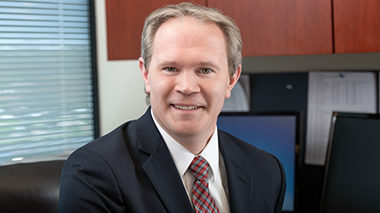 For the first 13 years of his legal career, Stephen Boehringer represented defendants in personal injury litigation on the West side of Michigan. He worked as a litigator for one of the State’s largest private defense firms as well as for one of the largest commercial casualty insurance companies in the Nation. After years of working against injured individuals, Steve decided to even out his karma by working for people that have suffered injuries and he joined The Sam Bernstein Law Firm in the summer of 2016. 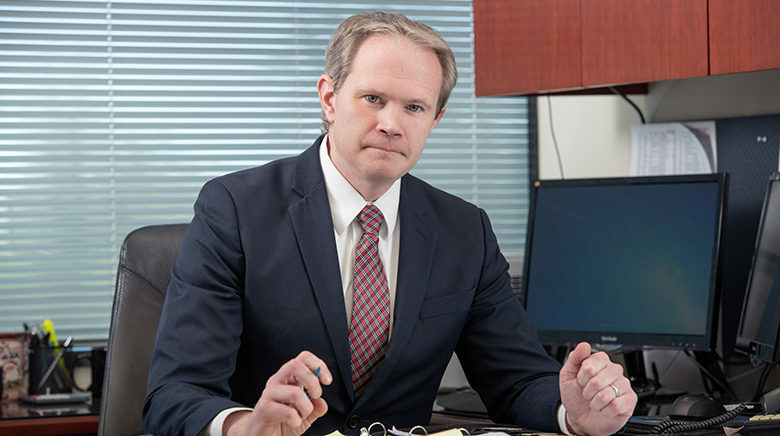 Steve has litigated cases covering a broad range of legal and factual issues – from slip and falls to trucking accidents to an apartment complex burning down from a squirrel being cooked. He has represented clients in State Court, Federal Court, and in Administrative hearings. Some of his more notable clients include the City of East Grand Rapids, The National Wildlife Federation, and Grand Rapids’ bus system, The Rapid. 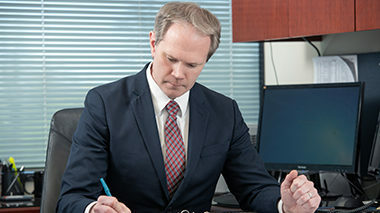 In addition to spending time in the courtroom, he has taught in the classroom as an adjunct professor at the Thomas M. Cooley Law School in Lansing and Grand Rapids. In the limited free time he has, Steve enjoys spending time with his family, being outside, and traveling.